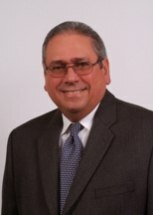 Luis F. Antonetti is a Capital Member of the Firm and the Director of the Labor and Employment Law Department. Mr. Antonetti practices in the areas of labor & employment law, occupational safety & health, arbitration, and mediation. Mr. Antonetti is a Fellow of the College of Labor and Employment Lawyers and past president of the Labor and Employment Committee of the Puerto Rico Bar Association and of the Inter American Bar Association (IABA). He is a Council Member of the IABA. He authors the section on Puerto Rico Labor and Employment Law in the ABA-BNA/Bloomberg publication titled International Labor and Employment Laws and of Wage and Hour Laws: A State-by State Survey, also published by ABA-BNA/Bloomberg. He has been a frequent lecturer in the areas of Labor and Employment Law and has written articles published by labor law journals and human resources publications. He has been selected by his peers worldwide to the Who’s Who of Labor and Employment Law. Mr. Antonetti has been inducted to the American Bar Association Foundation.